Sign up for Spelling Stars and you will have access to games for your spelling lists. We have a Word Search game, a Fill-n-the-Blank game and a Spelling Soup game where you catch the correctly spelled word in a bowl. More games are currently in development! 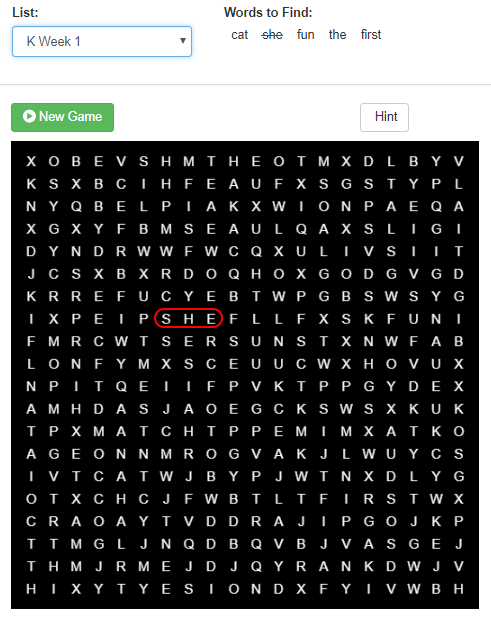 Your lists or ours will be used to populate this fun Spelling Word Search. Make your own Word Search by signing up for Spelling Stars today! Once you log in, add at least one student and one list by creating your own or importing one of ours, then navigate to the games menu to play. Note: You must be logged in as a student to view games. We have created a dynamic online Fill-in-the-Blank game to help students practice spelling in a unique and fun way. Students are given their spelling words with a few letters missing that they fill in to complete the game. Become a member of Spelling Stars or log in to start playing. 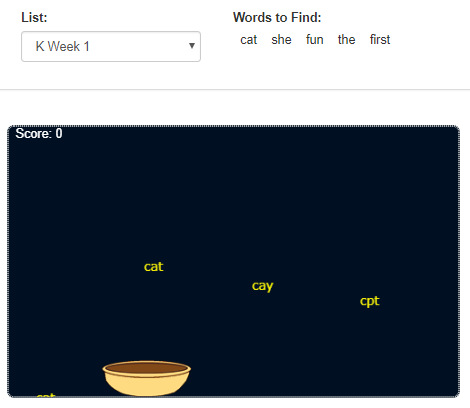 Catch the correctly spelled word in the bowl to win this educational game. It helps students learn their words in a fun and silly way. Create a teacher account now or log in to play games. To submit ideas for games, please contact us at info@spellingstars.com.